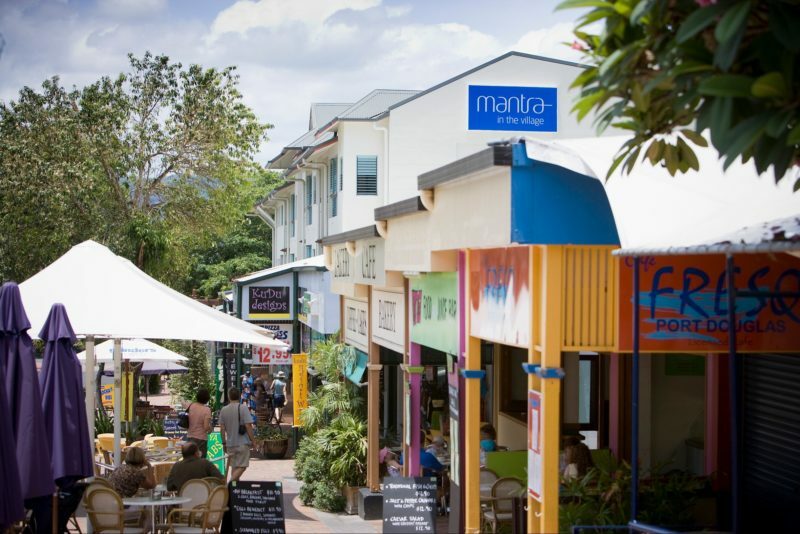 Located in the heart of Port Douglas, Mantra in the Village offers accommodation in keeping with the sophisticated, yet casual atmosphere of tropical north Queensland. 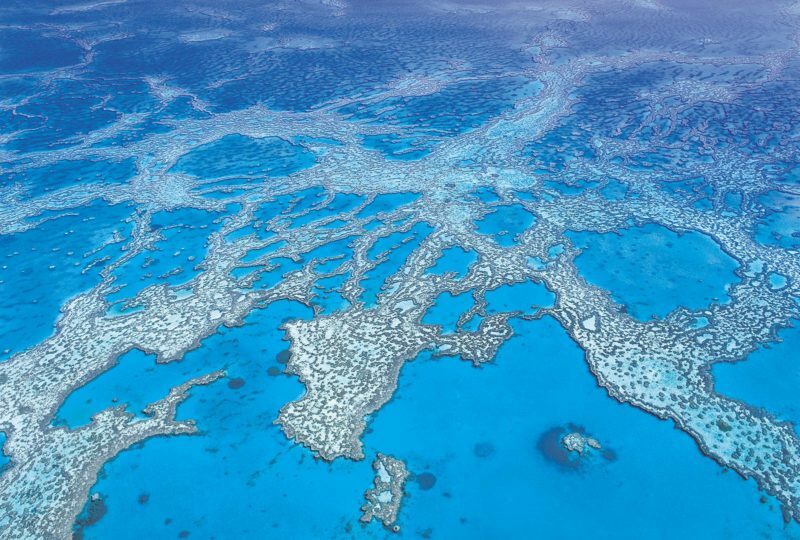 Here you will enjoy the tropical holiday of your dreams. 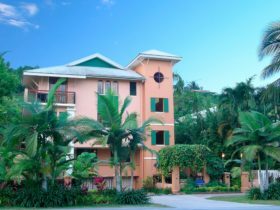 The style of accommodation is contemporary with a beachside influence. 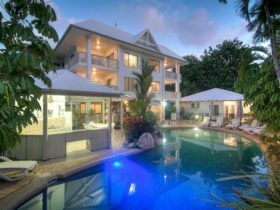 Hotel Rooms and One Bedroom Apartments are perfect for couples, and the Two Bedroom Spa and Dual Key Apartments are ideal for friends or families. You’ll enjoy WiFi and air-conditioning, and in apartments you also have the added benefit of a kitchenette. Mantra in the Village wishes to advise that necessary pool works will commence from 22 October, 2018 for approximately two weeks (weather dependant). During this time the pool and barbecue area will not be available for use. 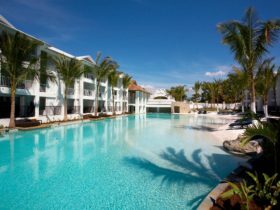 An alternative pool at a nearby Mantra property has been arranged for Mantra in the Village guests to use during their stay. They apologise for any inconvenience this may cause. 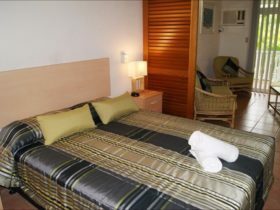 All rooms include air-conditioning and ceiling fans, cable television, hair dryer, iron and ironing board, in-room safe (fees apply) and tea and coffee making facilities. Available with one queen bed. 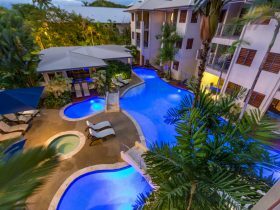 Features full kitchen facilities, balcony and whirlpool spa. 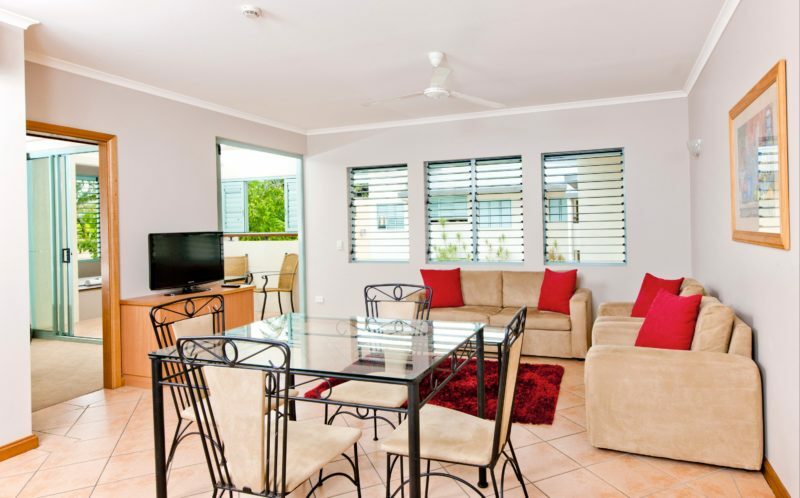 All rooms include air-conditioning and ceiling fans, cable television, hair dryer, iron and ironing board, in-room safe (fees apply) and tea and coffee making facilities. Available with one king or one queen and two single beds. 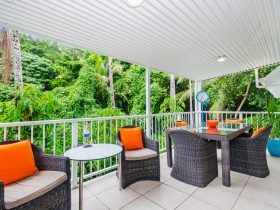 Features full kitchen facilities, balcony and whirlpool spa. All hotel rooms include air-conditioning and ceiling fans, cable television, hair dryer, iron and ironing board, and tea and coffee making facilities. Available with one queen bed. 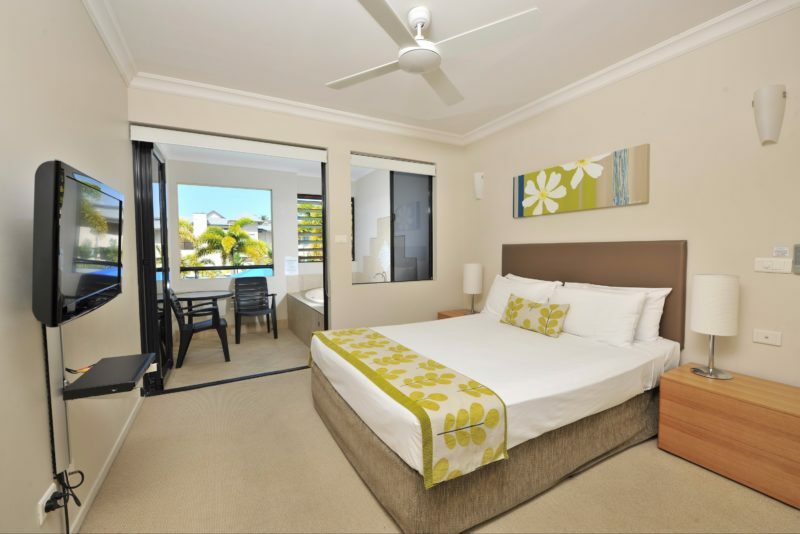 The 2 Bedroom Dual Key features Wi-Fi access (fees apply), Foxtel TV, air-conditioning and a kitchenette. Bedding includes one Queen and one Queen or King or one Queen and two Singles.